Folkestone Harbour Station is one of the most historically important stations in the country with it being a world’s first, and one of the places where soldiers were sent to Europe during The Great War. It is sadly under threat from demolition and a petition hase been set up to save it. I have decided to look back on what makes this station of the most unique stations in the United Kingdom, and why is should be preserved and reopened to mainline and excursion services again. The station was built in 1843, and was the first sea and rail service in the world, implemented between Folkestone and Boulogne, making it one of the most iconic locations. 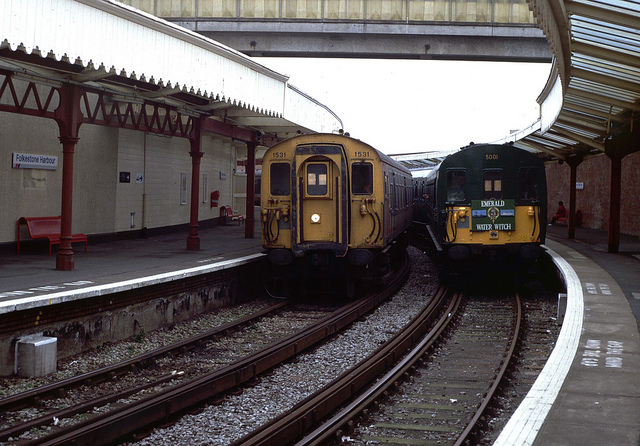 The station at the moment represents over 100 years of this type of operation, in which the Harbour Railway and Station was sigularly instrumental in making Folkestone a vibrant and successful town, and rivalled Dover with its Cross Channel Ferry Service in intrunsic value, if not in volume. The Golden Arrow, one of the best known trains in the United Kingdom, and if not, the world, was regularly seen here. Mata Hari was also arrested here. In 1855 The first ever Great Train Robbery occurred here. which is just one of many colourful historical events that took place here. 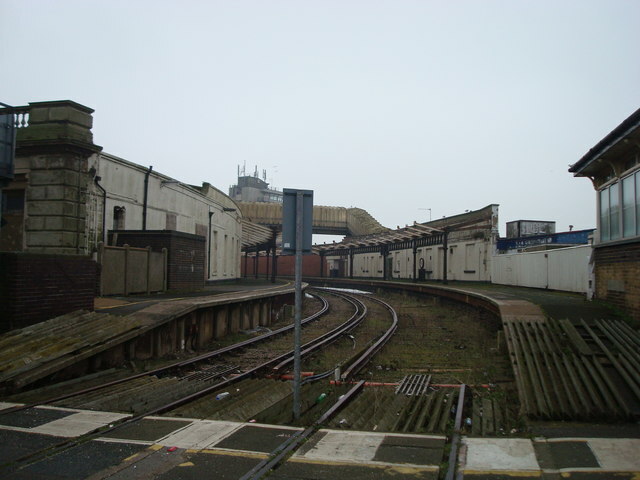 The Folkestone Harbour Company have stated that they have “saved the harbour station”. However, this is not accurate. 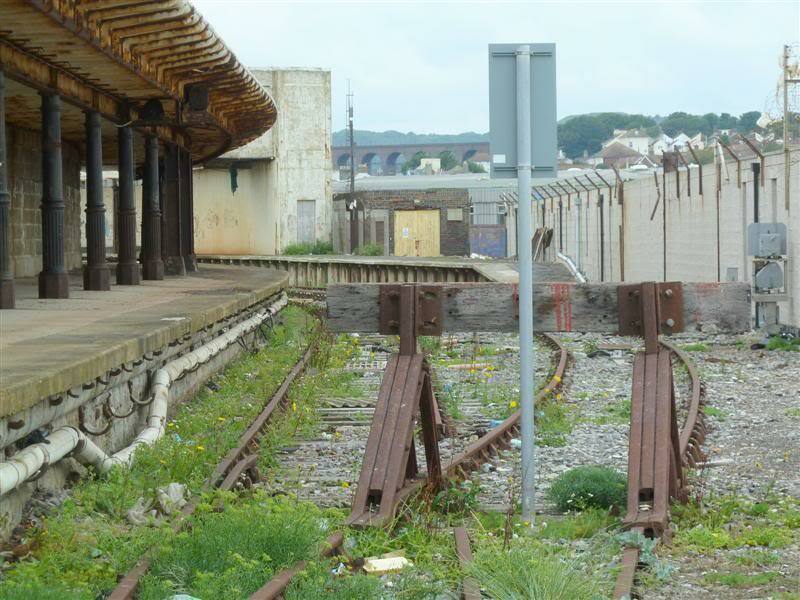 In fact, they have only saved the harbour arm canopy, which is not in the recognised station area. In reality, the track has been torn up in the, supposed “saved” area. 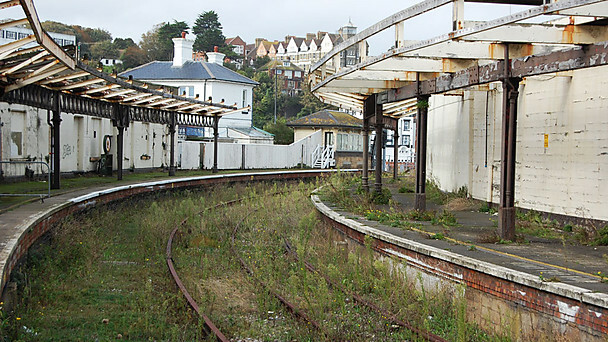 In the summer of 2014, the Folkestone Harbour Branch Railway was closed by Network Rail and the Department for Transport. This was very short sighted, as this railway and its harbour station are still potentially valuable assets to the town, boosting local district and county commerce, tourism and employment. There is also scope for expanding the traditional role as a feeder for a possible cross channel passenger ferry operation connecting with Boulogne. Dover is not currently encouraging this type of service and it is believed that Folkestone could corner this market. 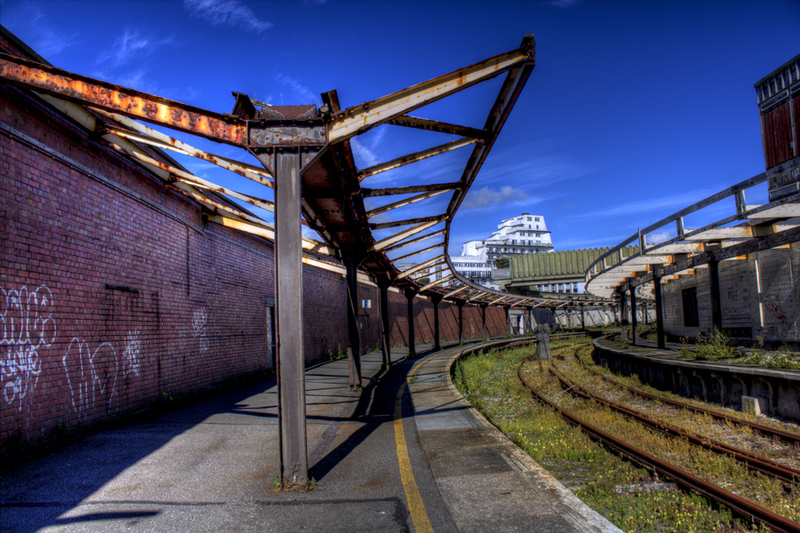 There are currently plans to demolish Folkestone Harbour Station to make way for a luxury seafront housing scheme. In my opinion, and most of the railway preservation movement ethusiasts, along with common sense, the station and the railway it serve would easily co-exist with, enhance and complement the proposed development. This is the last chance we have of saving this iconic edifice, let it be a lasting monument to our local heritage and a tribute to our past endeavours. As always, I have linked in the petition, and I urge all Loco Yard readers to sign this petition. 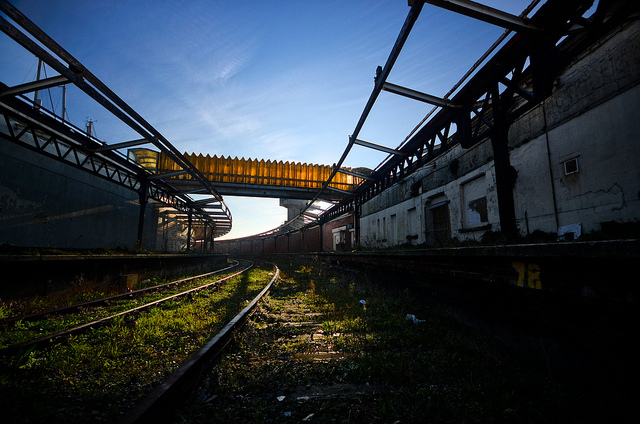 Whilst thinking about railway preservation here is another project to consider – this time the preservation of a unique station.